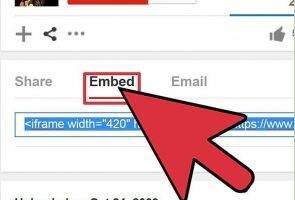 In this article, you will know how to embed YouTube video in WordPress and which method is the quickest to do so. Step 2: Copy the link to your WordPress clipboard under the visual header and ensure that you paste it on a new line (in case you are writing). And that’s about it. 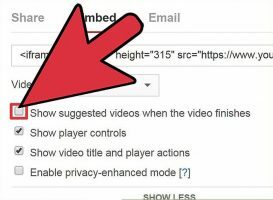 You have embedded your YouTube video in WordPress. 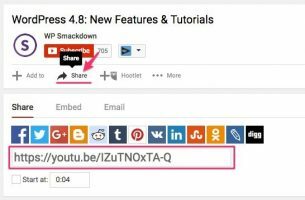 Step 1: Click on the embed button near the share link on the YouTube video. Step 2: On clicking it, you will get the entire iframe link with a lot of boxes below. These boxes can be ticked or unticked as per your requirements. So, depending on what you want, check/uncheck the boxes. 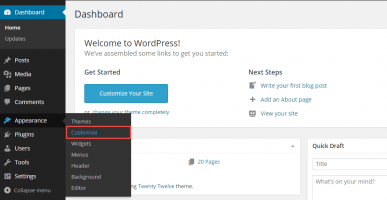 Step 3: Copy and select the entire link and go to your WordPress clipboard. Select the text header and insert paste the link inside the same. Step 4: On pasting the link switch to the visual mode to Preview your YouTube video. The preview with the iframe method will look exactly like the one with the o-Embed method in the WordPress clipboard. With this, you have successfully embedded the YouTube video in WordPress. In the sidebar method, you will understand how to embed YouTube video through WordPress’ new menu which opens the sidebar. Here you will see stepwise, as per the new version, how to embed YouTube video in WordPress. Step 1: On the WordPress clipboard, Select ‘Appearances’, click on ‘Customize’. Step 2: After clicking customize, a new page will open, where you will get to select Widgets. On selecting Widgets, click on Sidebar. Once you click on Sidebar, click add widgets to go to the video section. Step 3: In the ‘Add Widget’ section, you will see the Video video option along with other options. You can also go to ‘Video’ by directly putting it in the search menu. Click on the ‘Video’ button after the page shows for ‘Video’, you will see the ‘Title’ & ‘Add Video’ section on your left. Click on ‘Add Video” button. Step 4: After clicking on the ‘Add Video’ button, WordPress will prompt you to ‘Insert the url’ of the video. Insert the url as given and you will be able to see the preview of the video. 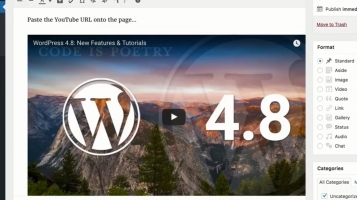 Embedding YouTube video in WordPress Website is easy. There are many other ways of doing the same, but these are the quickest and the easiest ways to do the same. Hopefully, you have now understood how to embed Youtube video WordPress. In case you have any doubts or queries, feel free to comment.